Andy and I went apple picking last week and I took about 300 photos. You can count on seeing many, many more layouts featuring these photos. This layout is based on a sketch at Studio Calico and is also my submission for the colour challenge at the Hip Kit Club. 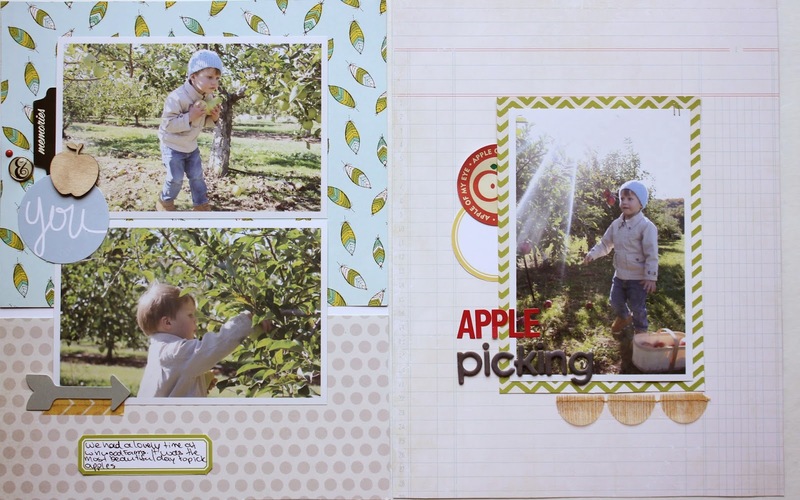 I used Studio Calico's Sock Hop and add-ons to make the layout. It is one of my favourite kits and I knew the colours would be perfect for this fall layout. I don't usually use such a large piece of a bold pattern for my background, so this was definitely a bit out of my comfort zone. I really love that feather paper though.. The only item I used that did not come from the Sock Hop kits was that wood veneer apple. 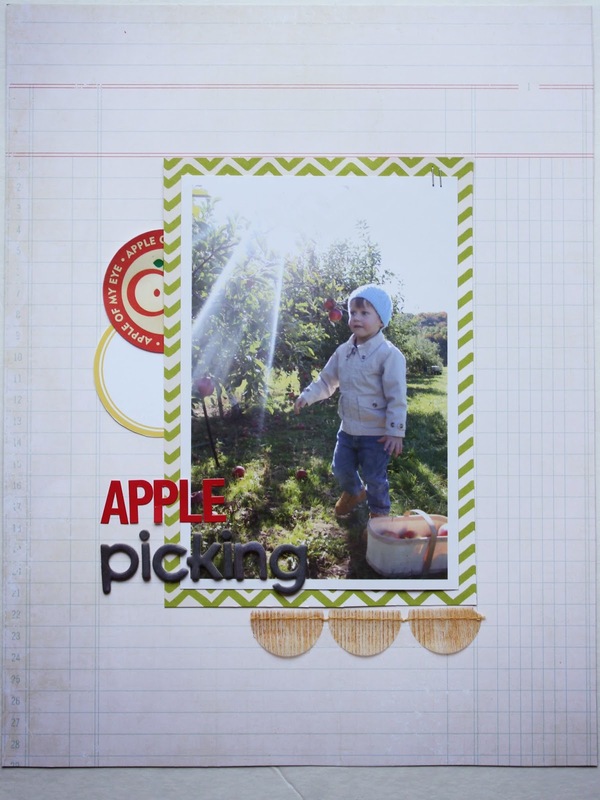 It came in another kit and was just perfect for a layout about apple picking. I know a lot of people like to stamp and mist wood veneer, but I leave them the way they are. I really love the natural look of them on a page. This photo will be one of my favourite photos for a really long time. Andy has such a sweet look on his face and the sun flare? Be still my heart. 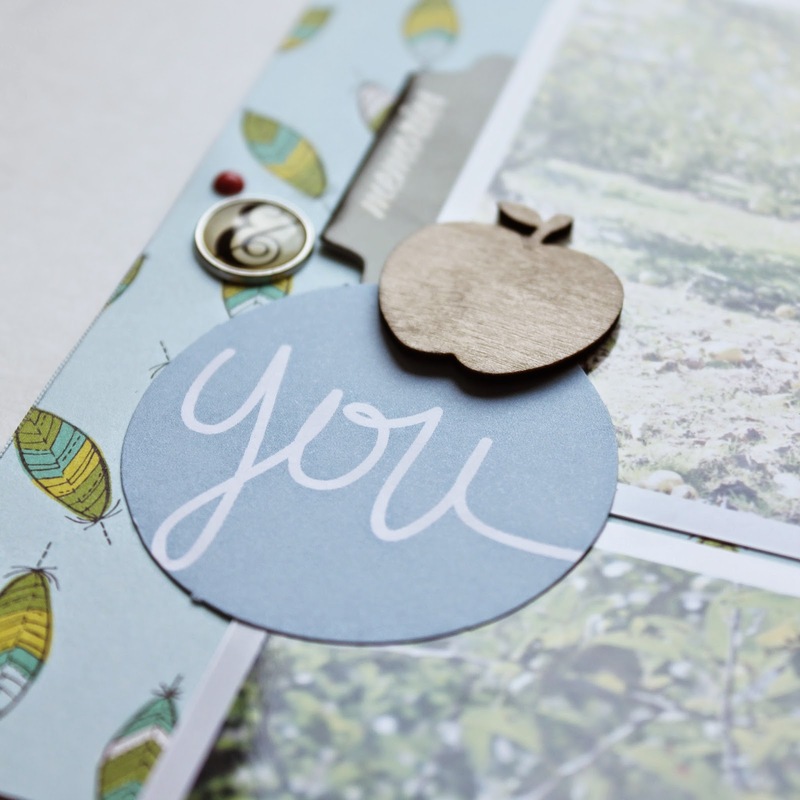 Also, I love, love, love that wood grain banner from Crate Paper. I'm really sad their lines don't have banners anymore as I'm still a girl who is crazy about banners! I have a feeling they're not "in" anymore and that's why we don't see them as much. What about you? 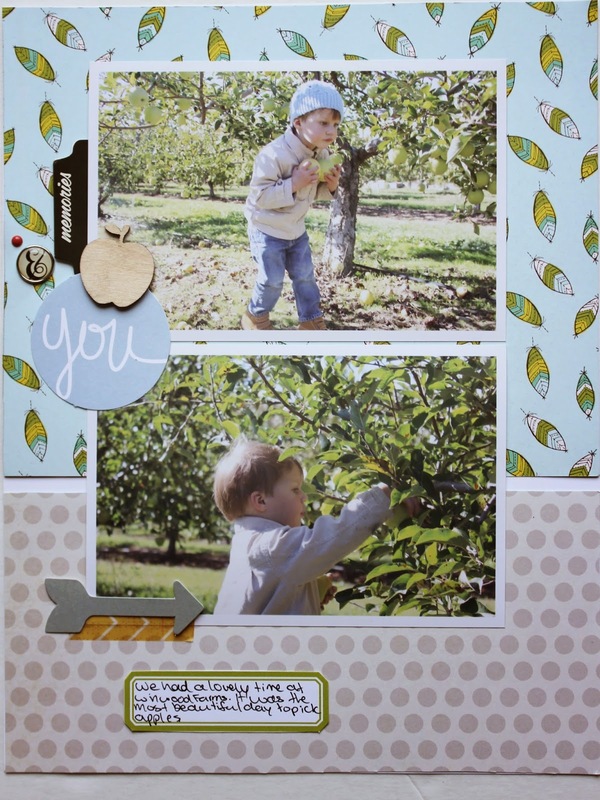 Are there any scrapbooking trends that maybe aren't in style anymore, but you still can't get enough of?